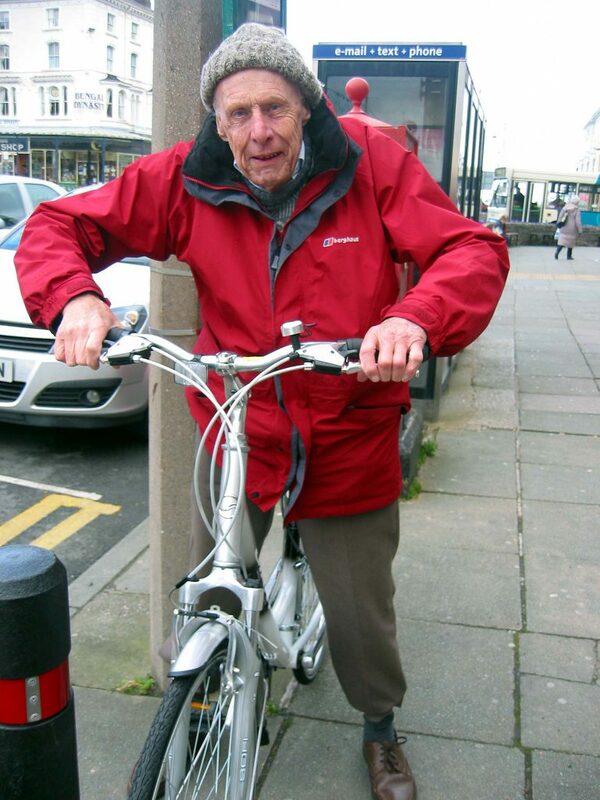 Maurice returning to cycling in 2007 – disabled after a rear collision with a car. 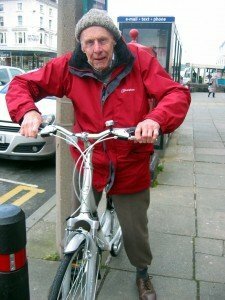 For several years the late Maurice Clarke and I served cycling through our former cyclingnorthwales website. Maurice managed the technical bits, whereas as editor it fell to me to provide the stories and many of the photos upon which we built our decent readership of over 2.4 million. With the sad loss of Maurice in May 2015, it has now been decided to build new upon old, and radically redesign the site, whilst at the same time retaining the same values upon which our former site was based. We aim to retain the same lightness of touch with an eye for the occasional zany………….but at the same time recognise that amongst all the publicity and promotion of cycling, its importance as an everyday means of transport is under threat. Campaigning for Cycling Over 130 years! These are matters we will be addressing and drawing upon the unparalleled campaigning experience and wisdom of the Cyclists Touring Club (CTC) which for over 130 yrs has fought for the rights we as cyclists take for granted. As this site develops, selected archive material from the old site will be transferred to this new home. Whilst North Wales is our base, within the global world of cycling it is but a small sprocket, so cycling beyond Wales will be very much featured also. However people dress for their cycling, Lycra, helmet, or flat cap and trouser clips, we hope they’ll find this is the site to linger awhile. It won’t be a technical site – that’s for others more inclined to tinkering with the latest gadgets, although if something really special come along it will get a mention. For continuity the interactive contact button will be retained to answer any queries in the fastest possible time. So with all that said, why are you reading this on your PC ? You should be out there pedalling!! May all your miles be chuckling miles…………..